Beneath you will find the German Consulate in USA we have found for you. Remember that if there can be no consular offices in USA will show you the closest using an advanced program itself GPS tracking approach we have produced. 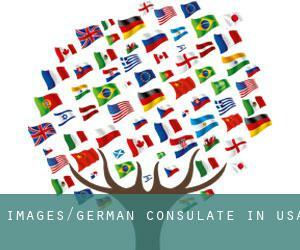 Contact us in case you know any German Consulate in USA not appear in this page or if you know of any other consular office in the same country that is situated in USA or in nearby towns. Consulates, in contrast to embassies, are not owned by the states represented at that don't have diplomatic immunity and its services are certainly not exactly the same as those supplied an embassy. The vast majority of our users resort to higher FINDER to promptly locate the diplomatic mission or consular office which is closest to your present location. One from the busiest centers of population USA is, without any doubt Brooklyn with 2.300.664 inhabitants, making it a good candidate to host a single or a lot more Diplomatic Mission in Brooklyn. The embassies and consulates located in USA and exist to help their compatriots to solve any dilemma as if they had been back home. Stick to the link to see all Embassy in Houston and its surroundings. It is just about impossible to visit USA bypassing Los Angeles (with 3.792.621 inhabitants). ConsulBy currently has an extensive catalog of Consulate and Embassy in Los Angeles and surroundings. We have classified all embassies by nearest town. Given that Queens is among the six largest cities of USA, with approximately 2.272.771 inhabitants, it's likely that hosts various consulates. Diplomatic missions are usually in populations with greater quantity of inhabitants. With 2.695.598 residents USA is one of the most influential centers of population USA. Problems with USA authorities? Contact immediately with any of the diplomatic missions borwsed for New York City to find the most effective solution with the local authorities. c/o Alabama Germany Partnership, 500 Beacon, Parkway West, Birmingham, AL 35209. Kirton & Mc Conkie, 1800 Eagle Gate Tower, 60 East South Temple, Salt Lake City, UT 84111-1004. Leake, Andersson & Mann, 1100 Poydras Street,, Energy Center, Suite 1700, New Orleans, LA 70163-1701. Oakland County, Executive Office Building, 2100, Pontiac Lake Road, Building 41 West, Waterford, MI 48328. 2201 Tower Life Building, 310 South St. Mary's Street,, San Antonio, TX 78205.